The Elddis Xplore range is a lightweight entry level tourer, with a cracking choice of layouts to choose from. It’s the smallest 302 that’s under the spotlight here though. The 302 won over many buyers in the years it was built. Offering a decent spec for the cash these tourers from Elddis make ideal first time buys. Look out for their family models too if your in that market area. The super little Xplore 302 is a top choice of ours, its popular so used they aren’t hard to find. So easy to store and handle the 302 is a tidy tourer with its large offside front window and large front panoramic unit. Interior is quite spacious coming with L shaped lounge, side wardrobe and washroom plus end kitchen. The 302 also has good storage and although the corner washroom isn’t over large it’s still useable. 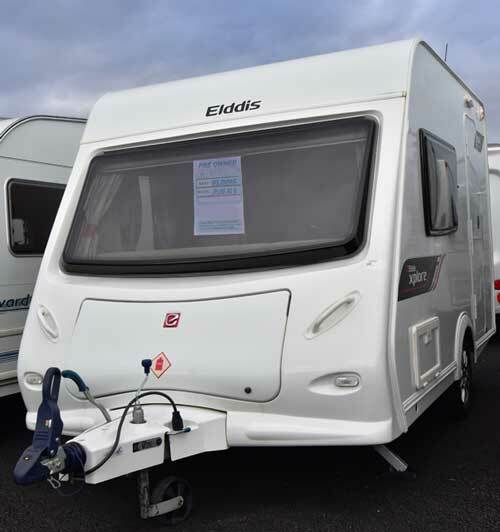 The Xplore range arrived in 2009 but the 302 took another twelve months to appear, but when it did the little Elddis took everybody by surprise. Its L shaped lounge added a spacious feel and it came with end kitchen too. The Xplores were upgraded over the next few years and the range also proved a great base for dealer specials where extra kit was added for not much more in cost over the standard spec. 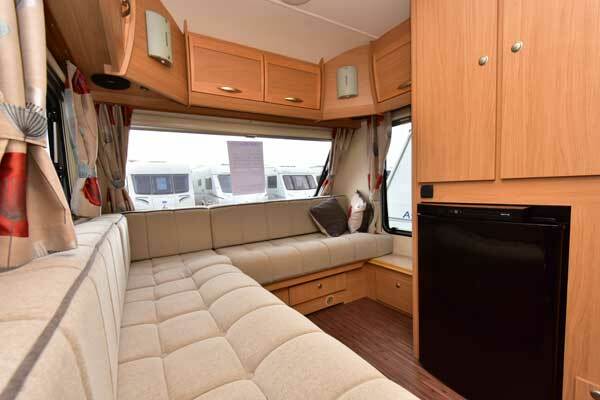 The front lounge is spacious for two with its L shape design, and this also makes up into a double bed by a pull out frame from the main bench seat. Corner lights are added to by corner spot lamps and a ceiling light. Loads of overhead locker storage is provided plus a blown heater outlet is placed in the seats base. It’s a cracking cosy area for a couple plus friends can come over too with room to spare. End shaped kitchen is well planned out, with the fridge being sited in the wardrobes base it frees up storage in the kitchen area which also comes with an oven/combined grill. A three burner hob is fitted plus a stainless steel sink with clip on drainer. Its good for the size of caravan, but no microwave is fitted. Its basic and also not overly large, its not lined plus a shower curtain is fitted. The Thetford cassette loo is manual flush only while the hand basin is quite small and storage here is restricted. This is a tourer you will mostly use on full facility sites. 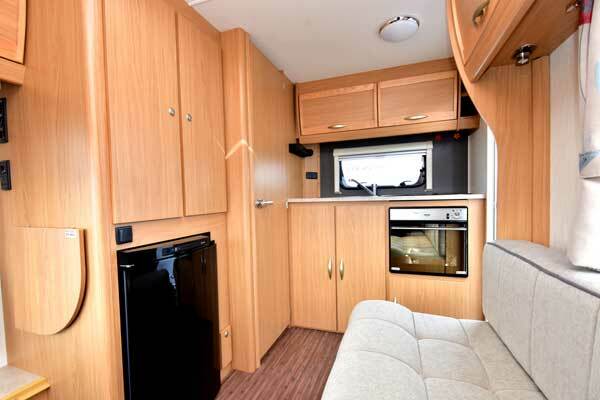 The Xplore 302 is a great little tourer, small washroom and with the fridge in the base of the wardrobe hanging space is lacking. Heating is via Whales underfloor mounted unit. Check for de-laminating floor and general neglect. The 302 is a tourer to put on your list for its compact size and ease of use, plus it’s remarkable how spacious it is.